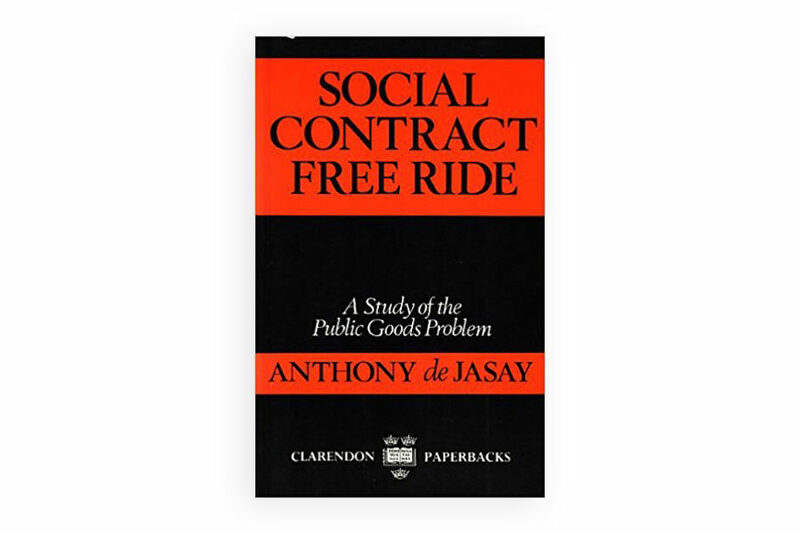 Social Contract, Free Ride: A Study of Public Goods Problem. Self interest tells us to enjoy, while letting others bear the cost of, such “public goods” as civil order, defense, social welfare and much of the rest of the moral and material underpinnings of society. However, in order to assure their provision, we agree to be coerced to pay for them so long as everyone else is coerced, too. This book provides a novel account of the public goods dilemma. The author shows how the social contract, in its quest for fairness, actually helps to breed the parasitic “free riding” it is meant to suppress. He also shows how, in the absence of taxation, many public goods would be provided by spontaneous group co-operation. This would, however, imply some degree of free riding. Unwilling to tolerate such unfairness, co-operating groups would eventually drift from voluntary to compulsory solutions, heedless of the fact that this must bring back free riding with a vengeance. The author argues that the perverse incentives created by the attempt to render public provision assured and fair is the principal cause of the poor functioning of organized society.